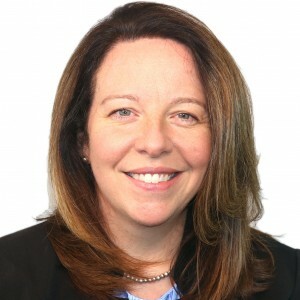 Dr. Margo Lauterbach is the director of The Concussion Clinic at Sheppard Pratt. She has authored numerous print and online publications, lectured and taught medical students and residents, and has presented nationally and internationally. Dr. Lauterbach developed The Concussion Clinic around an interdisciplinary model of care that promotes the well-being of both the individuals who have sustained a concussion and their caretakers. Her research interests include brain injury, cognitive dysfunction, neurobehavioral syndromes, and neuropsychiatric education. Dr. Lauterbach received her M.D. from Flinders University of South Australia. She completing her residency in psychiatry, and fellowship training in neuropsychiatry, at the University of Massachusetts Medical School. 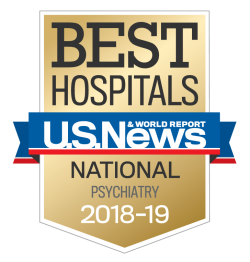 A distinguished fellow of the American Psychiatric Association and a Fellow of the American Neuropsychiatric Association, Dr. Lauterbach is double board certified in general psychiatry and neuropsychiatry. Lauterbach M, Benjamin S, Complementary and Alternative Therapies. In Textbook of Traumatic Brain injury, 3rd Edition, Chapter 49, APA Publishing (in press). Lauterbach M, Schildkrout B, Benjamin S, Gregory M. The importance of rare diseases for psychiatry. Lancet Psychiatry 2016; 3(12):1098-1100. Lauterbach, M, Benjamin S. Clinical Neuropsychiatry. FOCUS: The Journal of Lifelong Learning In Psychiatry 2016; 14(4):409. Lane K, St. Pierre M, Lauterbach M, Koliatsos V. Patient profiles of criminal behavior in the context of TBI. Journal of Forensic Sciences 2016; doi: 10.1111/1556-4029.13289. Schildkrout B, Benjamin S, Lauterbach M. Integrating Neuroscience Knowledge and Neuropsychiatric Skills into Psychiatry: The Way Forward. Academic Medicine. May 2016; 91(5):650-656. Lauterbach M, Notarangelo P, Nichols S, Lane K, Koliatsos V, Diagnostic and Treatment Challenges in Traumatic Brain Injury Patients with Severe Neuropsychiatric Symptoms: Insights into Psychiatric Practice, Neuropsychiatric Disease and Treatment, 11 (1601): 2015. Lauterbach M, Notarangelo P, Lane K, Koliatsos V, Treatment of Traumatic Brain Injury-Induced Dyskinesia with Tetrabenazine: a Case Report, Psychosomatics, 56(5): 567-571, 2014. Benjamin S, Lauterbach M, Stanislawski A, Congenital and Acquired Disorders Presenting as Psychosis in Children and Young Adults. In Frazier J and Dvir Y, Child and Adolescent Psychiatric Clinics of North America, Elsevier, Philadelphia, 2013.